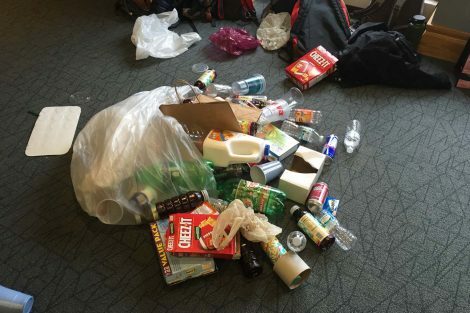 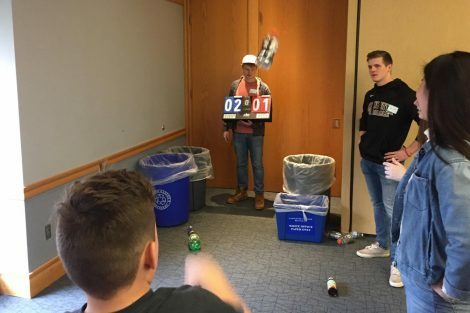 Scoring points for hitting recycling bins and losing them for a strike in a gray trash can, about 20 fourth-graders lobbed empty Cheez-It boxes, plastic water bottles, and other recyclables as part of a program on the environment during their recent visit to Lafayette. 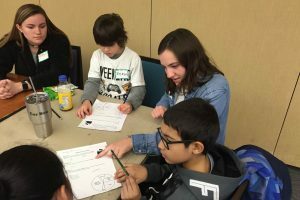 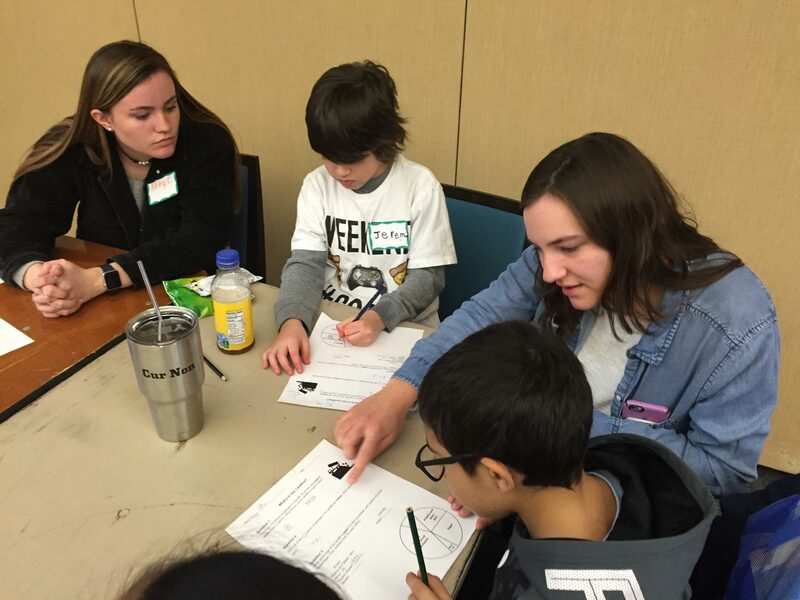 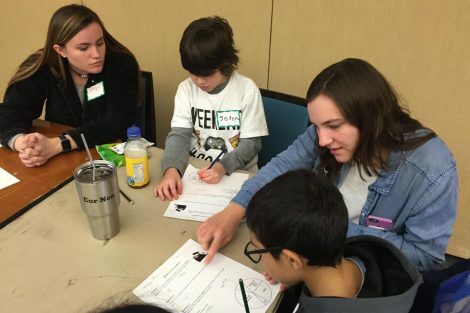 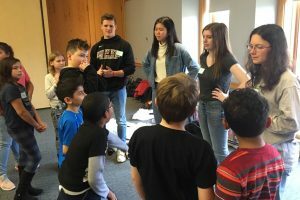 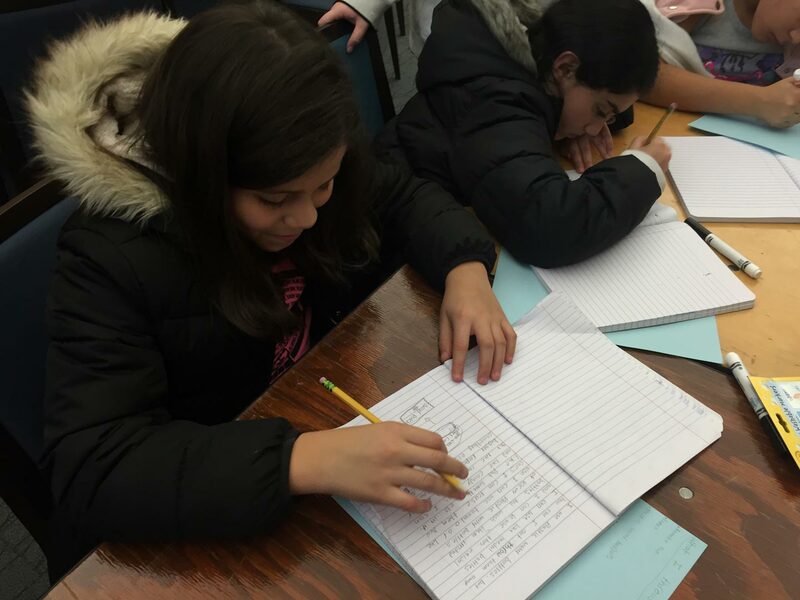 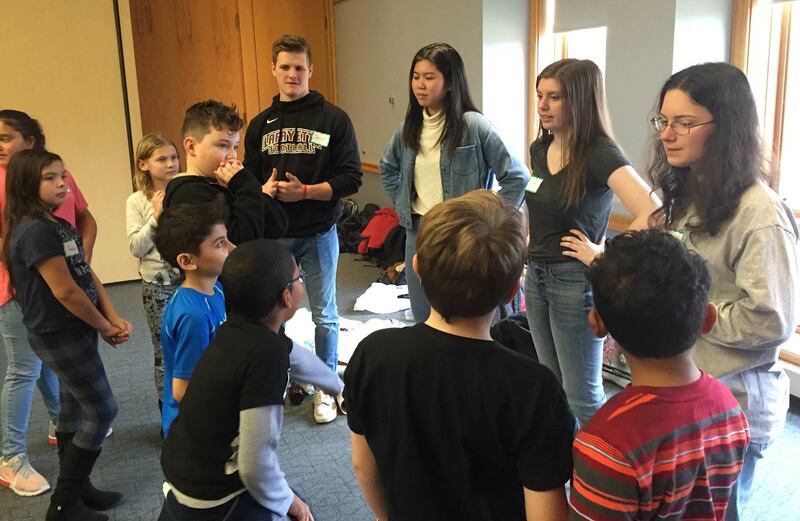 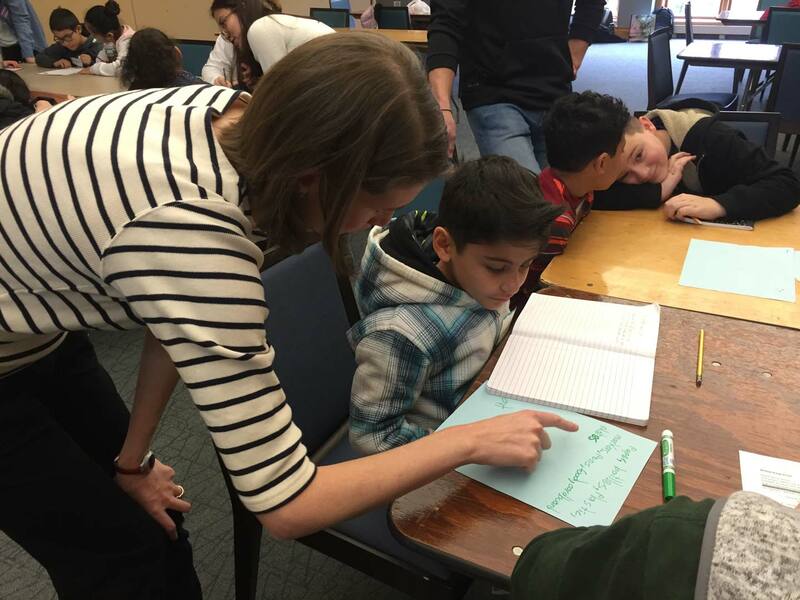 For the Cheston Elementary School kids, it was part of a student-led program to learn about college life and heighten their recognition of how everyday objects and actions or inactions can adversely affect the environment. 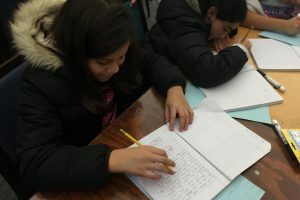 It was done in conjunction with the Center for Community Engagement’s pilot program at the South Side Easton school. 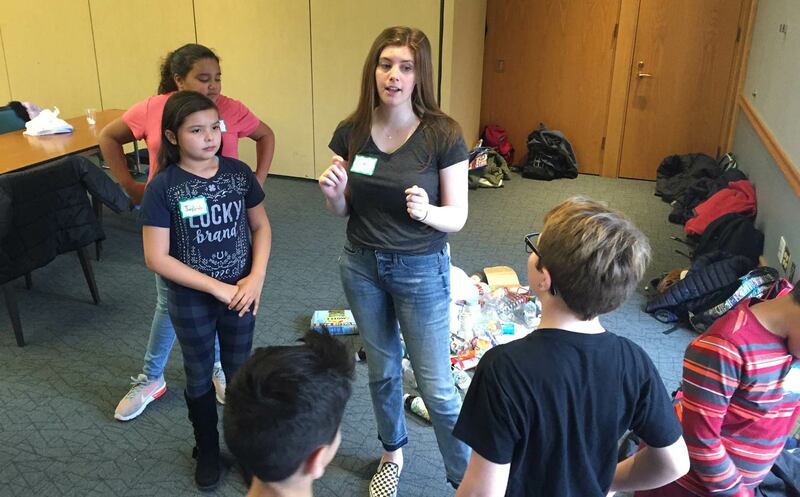 Sixteen students in Organizations and the Environment, taught by Andrea Armstrong, guided the youngsters in lessons showing how long it takes for organic and inorganic materials to break down and, using writing and drawing, identifying the kinds of household trash that routinely gets thrown away. 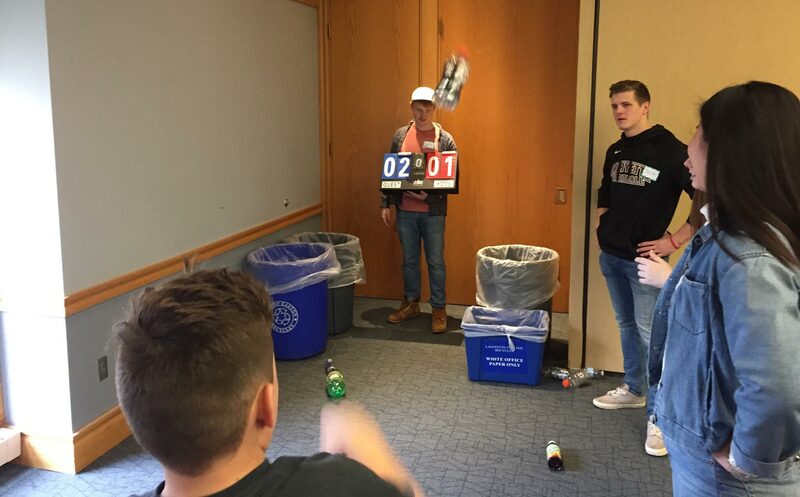 But the highlight of the afternoon in the Marlo Room at Farinon Student Center was recycling basketball, where the kids reached into a pile of refuse and tested their skills and environmental sensitivity by tossing various plastic and paper items into the blue bins. 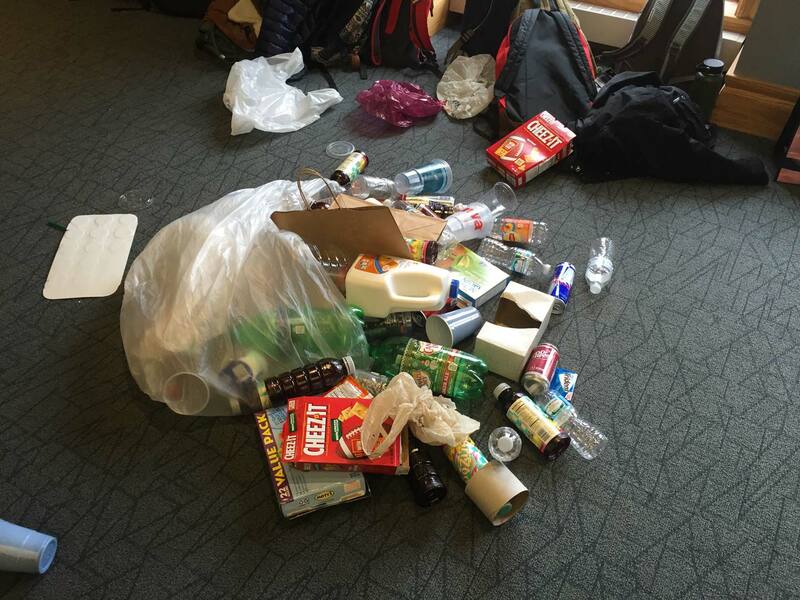 A direct hit was a score for the environment. Armstrong, assistant professor of environmental science and studies, said the goal of her class is to learn how an organization can take actions to make a difference. 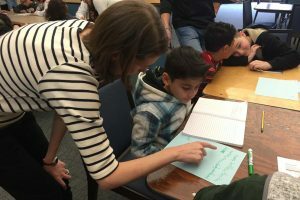 “My students came up with fun educational lessons for the fourth-graders to learn about how to protect the environment and put what they learn into practice,” she said. 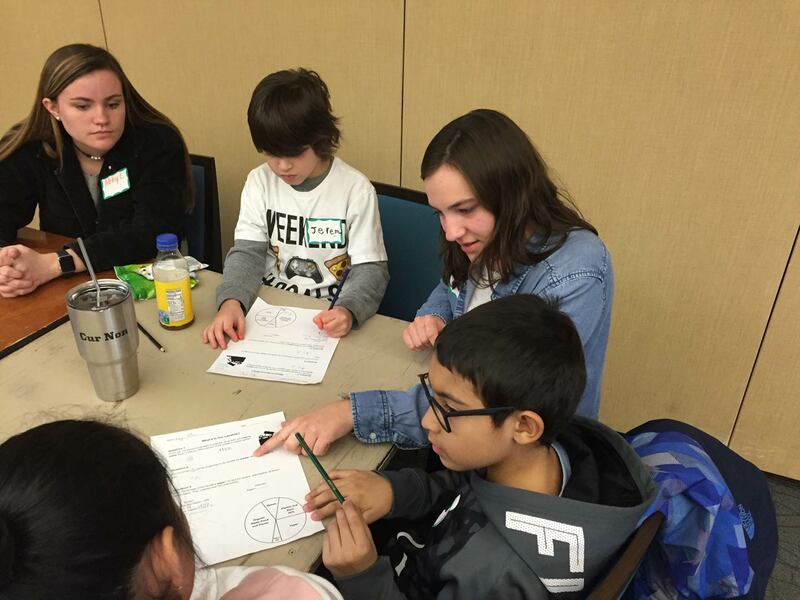 Liz Passantino ’19 (policy studies and economics) said planning and carrying out the activities for the Cheston kids was invigorating. 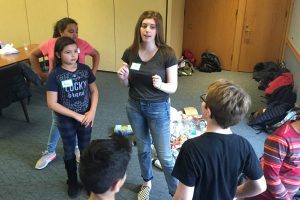 “It’s just a lot of fun working with these kids and watching them learn,” she said. 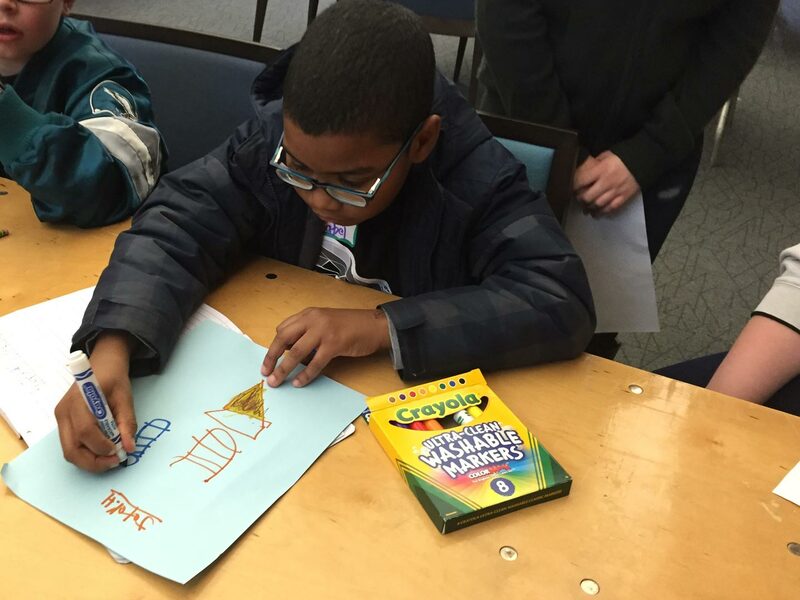 Reese, one of the fourth-graders, said he enjoyed a firsthand look at what student life is like at Lafayette. 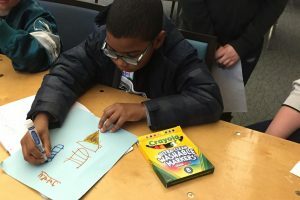 Perhaps even more importantly, “I learned that you can’t recycle straws,” he said.